Sergio Ramos stands over Mohamed Salah. 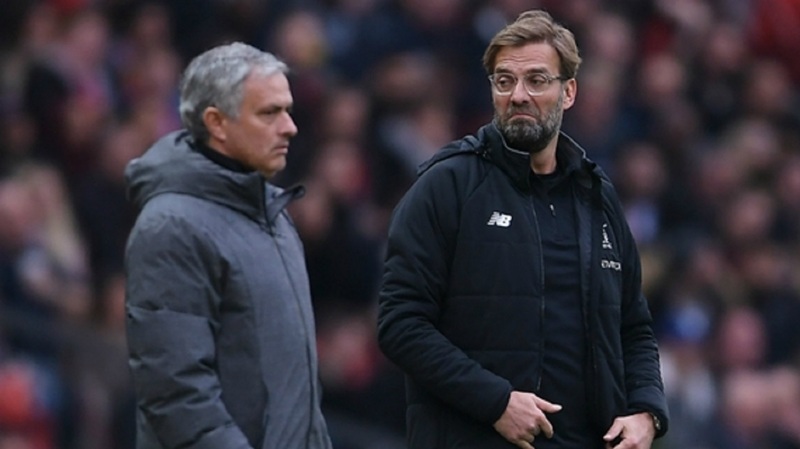 Jurgen Klopp has slammed Sergio Ramos' aggressive approach in the Champions League final, comparing the actions of Spain's captain to that of a "brutal wrestler". 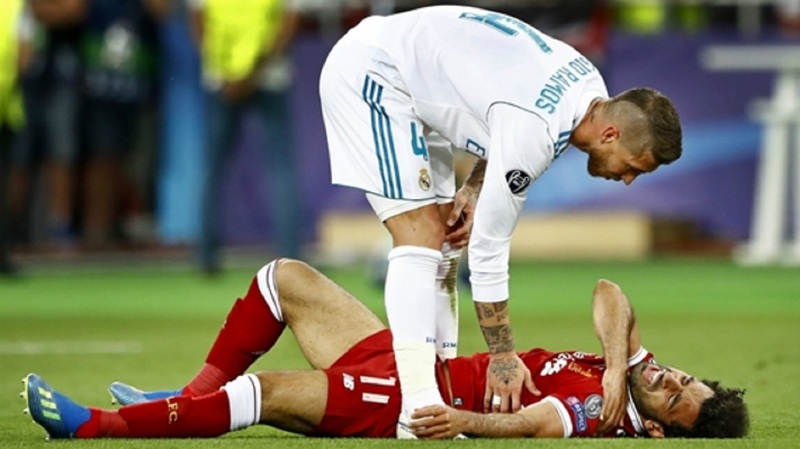 Ramos was a controversial figure in May's European showpiece between Liverpool and Real Madrid, as he caused an injury to Reds star Mohamed Salah and seemingly elbowed goalkeeper Loris Karius, who later made two key errors. Karius gifted the opening goal to Karim Benzema in Moscow's final, before letting Gareth Bale's strike from range slip through his grasp, leading to discussions about whether Ramos' elbow played a part. 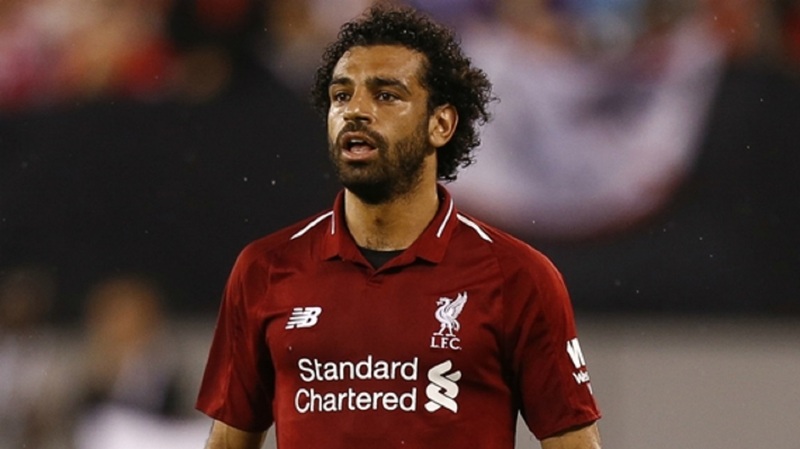 Klopp was opening up on the final for the first time on Liverpool's pre-season tour of the U.S., and insisted he believed Ramos' actions deserved greater scrutiny. "We are opening that bottle again? It is action-reaction-action-reaction and I don’t like that but, if you watch it back and you are not with Real Madrid, then you think it is ruthless and brutal," he told reporters before their International Champions Cup clash with Manchester United. "In a situation like that, somebody needs to judge it better. If VAR is coming then it is a situation where you have to look again, not to give a red card but to look again and say: 'What is that?' It was ruthless. "I'm not sure it is an experience we will have again – go there and put an elbow to the goalkeeper, put their goal-scorer down like a wrestler in midfield and then you win the game. "That was the story of the game. Ramos said a lot of things afterwards that I didn't like. As a person I didn't like the reactions of him. He was like: 'Whatever, what do they want? It's normal.' No, it is not normal. If you put all of the situations together then you will see a lot of situations with Ramos. "The year before against Juve he was responsible for the red card for [Juan] Cuadrado. Nobody talks about that afterwards. It is like we, the world out there, accept that you use each weapon to win the game. People probably expect that I am the same. I am not." 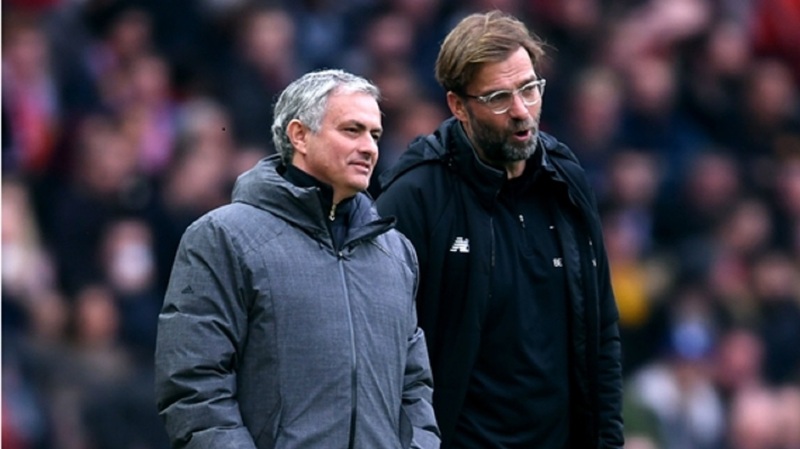 Klopp also discussed the days after the final and the reaction to Karius' injury, but said he would not use that as an excuse, and Liverpool would likely have made a move for £65million signing Alisson regardless of the result in Moscow. He said: "We didn't use the concussion as an excuse for one second, but how can we not put it out as an explanation? "The problem is only now that people still don't believe it, and then we bring in a new goalkeeper and people think we don't believe it as well, which is not true. "If Alisson was on the market and we'd won the final, we would have gone for him, because he's the goalkeeper we want. The other goalkeepers are really good, like all our other players, but that doesn't mean we don't bring in another one."